If you ever need a conversation starter, one of the best questions to ask is this: Who are some of your favorite authors? Though I’ve been an avid reader for a long time (which is one of the reasons I decided to start writing books of my own), it’s amazing how often someone has a suggestion for an author who’s unfamiliar to me. When someone asks me what I’m reading, or for the names of some of my favorite authors, I typically tell them about these five authors and their books. 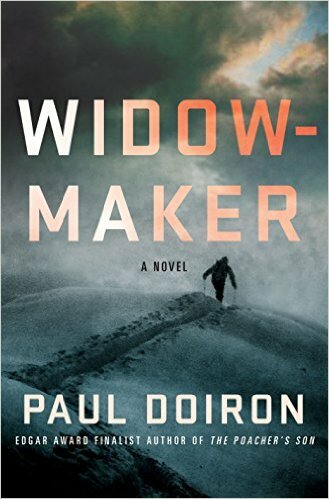 I’ll start with Doiron because his new novel, Widowmaker, comes out tomorrow. It’s the latest in the Mike Bowditch series of novels. Bowditch is a game warden in Maine, and Doiron does a remarkable job of painting a picture of the landscape in which Bowditch works, and the people with whom he deals. There’s plenty of tension – and twists and turns – to keep your attention to the very end. Thor’s latest novel, Foreign Agent, also is available tomorrow. Thor’s protagonist is a counterterrorism agent named Scot Harvath. These books, set in various parts of the world, are the definition of thriller. Thor may write fiction, but you really get the feeling when reading his books that you have an inside look at the war on terrorism. Box is best known for his Joe Pickett series of novels, though he’s authored several others with different protagonists (which are just as good). Pickett is a game warden in Wyoming, and one of the strongest aspects of Box’s books is the vivid descriptions of the West. The books also tend to be woven around an environment or natural resources-related theme. Sandford’s books, in general, are based in Minnesota or just beyond. He’s written several series, but my favorites are those that feature Lucas Davenport or Virgil Flowers. Many of the Davenport books are set in Minneapolis, while the Flowers books are set in the southern part of Minnesota. Sandford is fantastic at bringing quirky characters to life. All of his books have been tremendously enjoyable. I’d say I’ve been hooked on Flynn since reading the first paragraph of his first book. (Flynn passed away in 2013 at the age of 47; Kyle Mills has continued writing the Mitch Rapp series.) The main character in this series is Mitch Rapp, who’s a counterterrorism operative with the CIA. The books are an awesome blend of politics and the fight against terrorism. There are few books I reread, but I’ve read all of Flynn’s more than once. A few other good MN mystery & thriller writers: Eric Kent Krueger, Roger Stelljas and Brian Freeman.